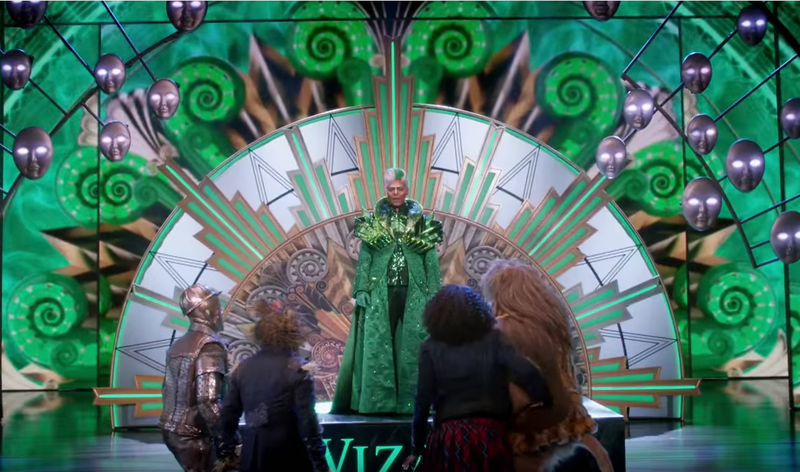 Fans had their doubts, but NBC's "The Wiz Live!" was a critical success. The network's third annual televised musical fared much better, both in ratings and in reviews, than last year's "Peter Pan," starring Allison Williams. Headlines proclaimed, "NBC finally gets it right with 'The Wiz Live!'" "Third time's a charm? NBC's 'The Wiz Live!' has heart and soul" and "'The Wiz Live!' was so good it made NBC's other live musicals look like dopey dress rehearsals," pointedly comparing "The Wiz Live!" to the network's previous programs, "Peter Pan" and "The Sound of Music." Washington Post critic Bethonie Butler said, "Thursday's production was nearly flawless. It was well-cast. The costumes were beautiful, and the set design vibrant. And the music was excellent." She called the show "mesmerizing" and wondered if NBC's next musicals will live up to "The Wiz Live!" Robert Bianco of USA Today gave the musical three and a half stars out of four, and called the show, "Pulsing with life and fun, sparked by energetic dances and colorful costumes ... charmed from start to finish." He praised newcomer Shanice Williams in particular, and said of the music, "Indeed, even if you didn't watch the show, you're going to want the soundtrack, if only to put Williams' version of 'Home'on constant repeat." Slate critic Willa Paskin also gave Williams a shoutout, saying, "Shanice Williams, the 19-year-old playing Dorothy, was cast from a talent search and you could tell: She has it." But Paskin said it wasn't just Williams who shined; she praised "a gloriously incensed Mary J. Blige as the Wicked Witch of West, an ethereal Uzo Aduba as Glinda, and Amber Riley as Addaperle, who set the tone early on not just with her pipes, but with her dedicated dance moves. As for Dorothy's friends, one was better than the next, from Elijah Kelley's sweet, jittery Scarecrow, to Ne-Yo's soulful Tin Man, to David Alan Grier's terrific Cowardly Lion." Paskin also said that the makeup and attention to detail were superb. Caroline Siede of the A.V. Club gave "The Wiz Live!" an A- rating and said, "And that's how you put on a show! ... Tonight NBC proved my faith was well placed with a musical event that was finally worth watching and not just hate-watching." She praised the network for casting black actors and portraying the characters as "smart, brave, loving, powerful and beautiful" and making it accessible to everyone. Vanity Fair pointed out that the show was "actually good" and that this year, Twitter users were much kinder to the musical than they had been in the past toward NBC musicals. Not everyone was so generous. Vulture conceded that the musical was NBC's "best installment yet," but called the pacing "patchy" and lacking energy that only Uzo Aduba was able to bring to the show. The Daily Beast called the score "rousing," but criticized the show for being "scattered," saying, "The show was a hot mess that not even Queen Latifah could save." Still, writer Kevin Fallon still admitted that the show was fun, and that "there's no denying 'The Wiz' was NBC's best live musical yet."